There are four open spots on the Evanston Township High School/District 202 board in the April elections. Several of the candidates said they wanted to continue on initiatives the board is already acting on. Candidates for the four open spots on the Evanston Township High School/District 202 board affirmed their commitment to promoting equity in education, a much-discussed topic in the district community. For years, the school board has said it has been working to bridge the achievement gap among students. In the 2011-12 school year, the previous board removed advanced level tracks from freshman humanities and biology classes in favor of mixed level classes that reproduce a “rigorous instruction” regardless of students’ test scores. Savage-Williams said, in making that decision, the board wanted to make sure that all students have the same opportunities to succeed. Through his eight years of experience as a high school counselor at Chicago Public Schools’ North Lawndale College Prep, Jude Laude said he has worked with similar demographics of students who tend to face more challenges in Evanston. At North Lawndale, Laude said, there is a focus on restorative justice, which emphasizes changing students’ behavior over traditional punitive discipline. He said students feel they’re stakeholders in the institution, and they benefit from a safe and peaceful community. “(You’re able to) more personalize the experience for all students, especially for those that need better outcomes,” Laude said. The board’s pursuit of equity comes at a time where the ETHS student population is at its highest in 30 years. 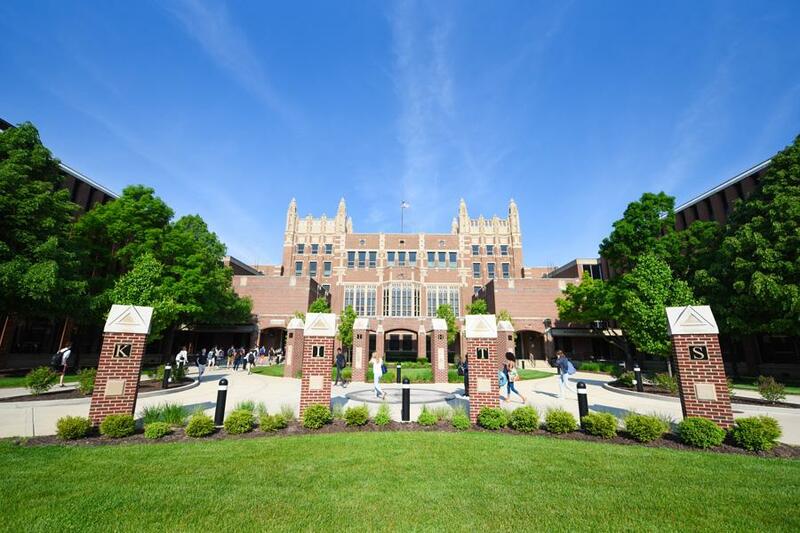 Additionally, the percentage of Hispanic and Latino students and the percentage of Asian students are also at all-time highs, according to a statement released on the school’s website. However, Russell Kohnken, a former teacher at ETHS, said the board should take more steps to prepare students to perform well in the classroom. Though he said he supported the board’s current goal of improving early childhood literacy, he said there was no simple way to solve the equity problem. To address the equity problem, some candidates called for increased collaboration between District 202 and the community. Patricia Maunsell, current chair of the McGaw YMCA board of directors, said it is important for the school board to be transparent and to engage in dialogue with all members of the school community. She said although communication isn’t necessarily lacking at ETHS, staying attuned to student concerns and being intentional about improving that dialogue is critical. In 2014, officials brought Cradle to Career to Evanston, a long-term education initiative geared at achieving more equitable outcomes for families, with a focus on community literacy. The initiative is backed by partnerships from both District 202 and District 65, and Gretchen Livingston was on the ETHS board that approved that partnership. Livingston said although there have been successes in raising the program’s profile in the community, the Cradle to Career collective impact effort is a long-term project, and it will take many years to achieve the goal. The board has identified goals highlighting “equitable and excellent education” along with fiscal responsibility and community engagement. Livingston said the board’s focus should be in furthering its already-established goals. Sills, who was appointed to the board in 2015 to fill an empty spot after Bill Geiger’s resignation, emphasized the capacity in Evanston to “change the predictability of failure” at ETHS. The culture of “loving a child for who they are” and supporting them from pre-kindergarten to 12th grade is a result of the combined capacity of the community, she said. “As a board member, a member of the leadership team at the high school, we all play our parts in individual matters within that (community),” Sills said. Election Day for the District 202 school board candidates is on April 4.